Hoping someone can point me to a video tutorial or even better, offer a few minutes of Teamviewer assistance if possible. Currently designing a lower splint. Customer wants flat surface (no tooth grooves) and canine guidance. I can get it so the articulation discludes on the canines, but how do I manage to get even occlusion everywhere else with adapting and thus getting tooth grooves? Feeling a little bit discouraged. Do you have a photo of a completed splint with canine guidance that you've made this way? Every bit of info helps, Thanks! hello, i hope this video is of any kind of help. You dont have to create a bar when designing a splint. 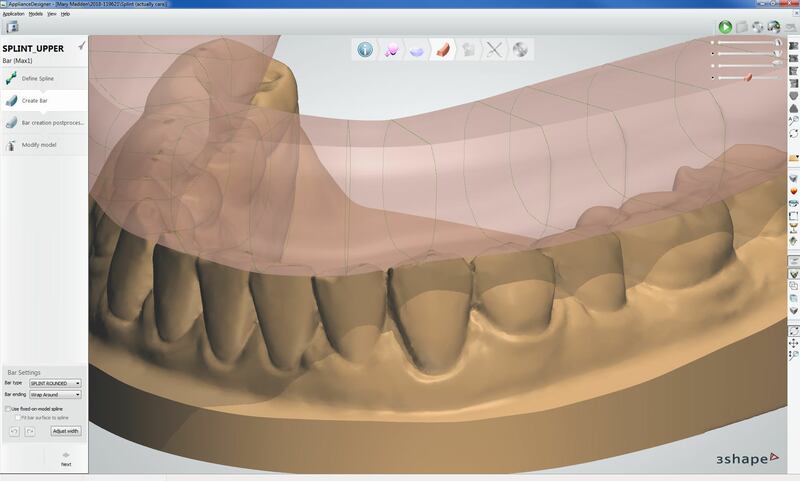 Open the bite to the desired thickness with the virtual articulator>create your shell. Click on the view opposing (top right) fade it out slightly then use the modify feature and add/morph the shell up to and around the occlusal contacts. 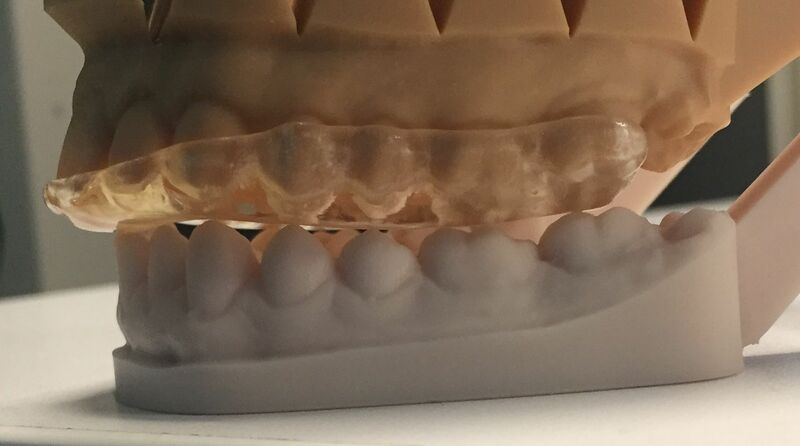 Go back to the virt articulator and simulate bite and make sure the setting is set to keep the contact grinding surface. You can then go in and smooth surfaces. It takes a little bit longer at first but the finish is smoother than adding a bar and you get faster with time. A bit late to the party, but I find that the best way to get even contact with the bar is to open the pin on the articulator first, then set the bar to about 50% transparency, and bring it down until the tips of the opposing teeth are *just* peeking through the bar. Then you can use the articulator to adapt the design, check "Guided by design", and change "cut contact" to something smaller, I start with 0.1 mm. This should bring down any high points. Here are a couple of links to videos that helped me. first is using shell alone. This is what I was talking about. It is pretty easy to morph the shell into the occlusion then articulate and clean up. This is a good video on the "normal" 3Shape method, using shell and bar.